Our Tatars are entertaining themselves with falcons they have brought with them; they are guarding the prisoners, and are proving to be loyal and trustworthy. Justly renowned as the saviors of Christendom, many remember King Jan Sobieski of Poland and his army, particularly the Wing Hussars, as the heroes of the Battle of Vienna of 1683, and rightly so. However, the heroic Polish warriors were only part of a much larger force which it seems popular history has forgotten. Some of the battles participants have been marginalized (such as Duke Charles of Lorraine), others such as Emperor Leopold I have been demonized with nationalistic vehemence. Still others have been simply forgotten by the popular imagination, as is the case of the Lipka Tatars. Originating in the White Horde, a subdivision of the Mongol-led Golden Horde, in 1397 after a war against the Amir Timur the Tatar Khan Tokhtamysh settled with the remnants of his people as vassals of the Duke of Lithuania, Vytautas the Great. The Muslim Tatars soon become an integral unit of Lithuanian military forces and continued in this role during the time of the various unions of the Kingdom of Poland and Grand Duchy of Lithuania, which culminated in the Union of Lublin in 1569. They continued to serve their common fatherland faithfully, adopting the Civilization of Christendom and many elements of the Polish and Lithuanian Catholic culture, until the disastrous Second Polish–Ottoman War, and the Lipka rebellion in 1672. Around 3,000 soldiers of the Tatar cavalry rebelled and joined the Ottoman Turks under the leadership of rotmistrz Aleksander Kryczyński. Made Bey of the fortress of Bar, Kryczyński was killed by the Tatars under his command rioting against their subjugation by the Turkish Sultan. In 1674 the fortress of Bar was besieged by Jan Sobieski, then Grand Hetman of the Polish Army, who wisely offered to restore to any Tatars who would rejoin the Commonwealth the ancient rights of the Tatar people. 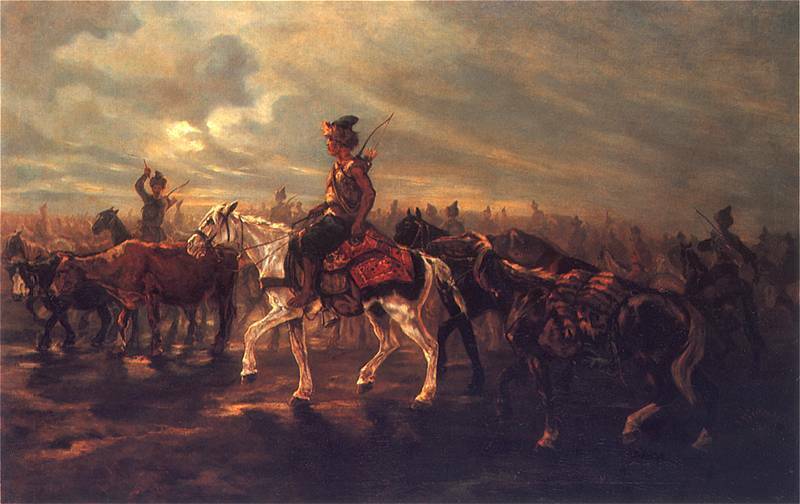 Earlier during the Swedish Deluge of Poland, 2,000 Tatars served directly under Sobieski’s command, and this offer of amnesty effectively ended the rebellion. Elected King in the same year and crowned in 1676, Jan III Sobieski made good his promise and through the Sejm restored the ancient rights of the Tatars, and gave them holdings from his personal lands. In 1683, honoring his alliance with Holy Roman Emperor Leopold I, King Jan set out to relieve the Kaiserstadt Vienna with a force of 27,000 Poles, including several regiments of Lipka Tatars, who wore sprigs of straw upon their helmets to differentiate them from their Turkish allied co-nationals. 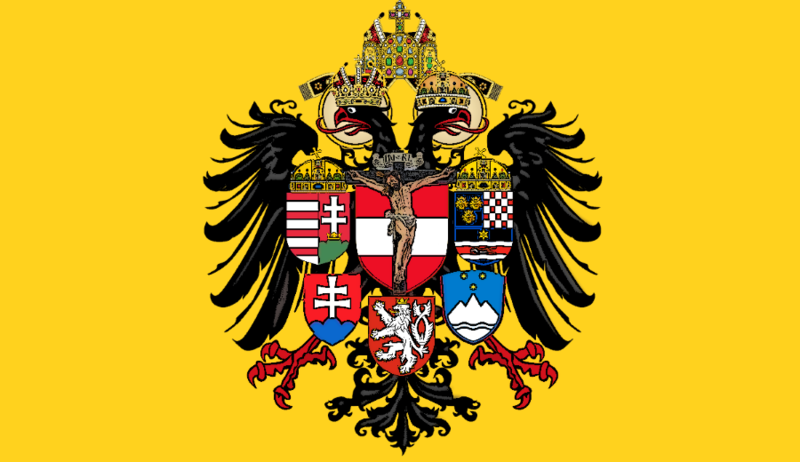 Joining the 47,000 strong Imperial force under Duke Charles of Lorraine, the Poles and Tatars charged from the Kahlenberg, and the relief army won the field against the Turks, Crimean Tatars, and Protestant Hungarian rebels under Imre Thököly. As the campaign continued, the Polish army was overwhelmed by the retreating Turkish army at Párkány in the Kingdom of Hungary, and King Jan was cut off from his soldiers. His life was saved by the daring of the Muslim Tatar Lieutenant Samuel Mirza Krzeczowski, a participant in the battle of Vienna, who was promoted to the rank of colonel and rewarded with the estate of Kruszyniany. The Lipka Tatars remained a vital military unit of the Polish armed forces, serving with distinction the reborn Polish state against the Soviets in 1920 “under the green banner of the prophet.” In 1939 the First Tartar Squadron led by Aleksander Jeljaszewicz resisted the Nazi invasion, charging the German infantry in the last act of a mounted Tatar unit of the Polish Army. Unlike the Kurucok of Hungary, the Tatars devotion to their religion did not stand in the way of their loyalty to their Polish-Lithuanian Fatherland and the Civilization of Christendom. They with the ancient Böszörmény of Hungary and the more recent Bosniaks of Austria-Hungary stand as an example to the Muslims in Europe of today, Staunch defenders of the European tradition who suffered much under the nationalist regimes victorious in 19th and 20th centuries, they are to be honored among the victors of the battle for Christendom against the tyranny of the Ottoman Sultan, and as loyal servants of the prophet, and of their true Lord, who brought them out of the East to the defense of the West.